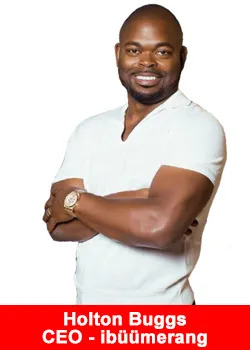 On March 11, 2019 Holton Buggs’ new company ibüümerang opened its doors for business. What followed over the next three weeks was nothing less than astounding. As you read these statistics, keep in mind that these numbers were achieved in less than one full month of business operation, a mere 20 days after ibüümerang accepted its first company representative (Travel Savings Ambassador) application. April numbers are projected to unquestionably surpass what was accomplished in March. In the coming weeks we will share stories about those people, and about The BÜÜM Foundation which has already made significant impact around the world in less than 30 days of operation. Launched in March 2019, ibüümerang is fast becoming a global leader in the travel and direct selling space. The mission of ibüümerang is simple: deliver good will in the form of travel savings and reward our Travel Savings Ambassadors (TSAs) with travel savings bonuses in cash. The vision is to create a consumer-centric model focusing on an exceptional customer journey and experience. By creating a worldwide movement of TSAs, we will empower people from all around the globe to live life to the fullest, earn residual income via the PRIB (Perpetual Residual Income Builder) and leave a legacy to future generations. For more information on ibüümerang, its Chairman and CEO Holton Buggs, its top tier executive team and its revolutionary travel program, please visit the company website at www.ibuumerang.com. Get more information, fact and figures about iBuumerang, click here for the iBuumerang overview.